Wild Oyster mushrooms are called ‘Kalmakha’ in Georgia and grow on the bark of trees. 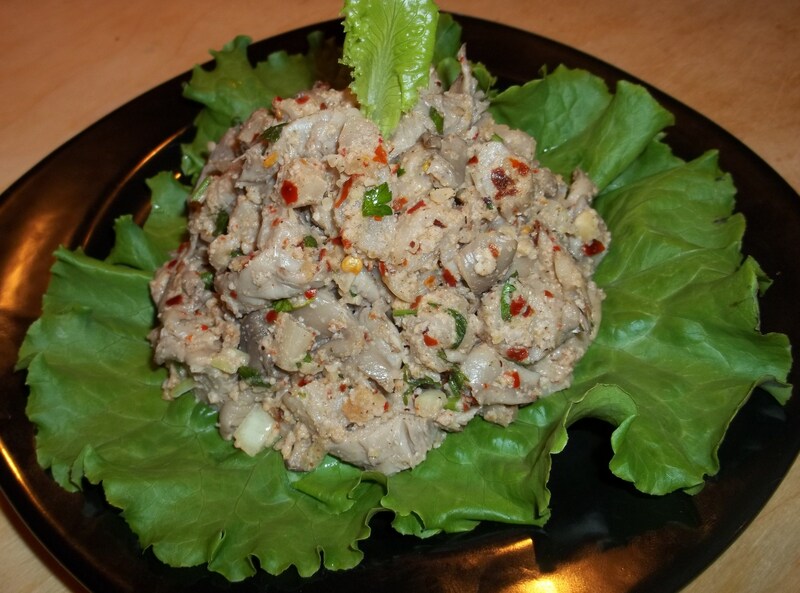 They look, smell and taste like oysters and are a popular appetizer in Georgia. 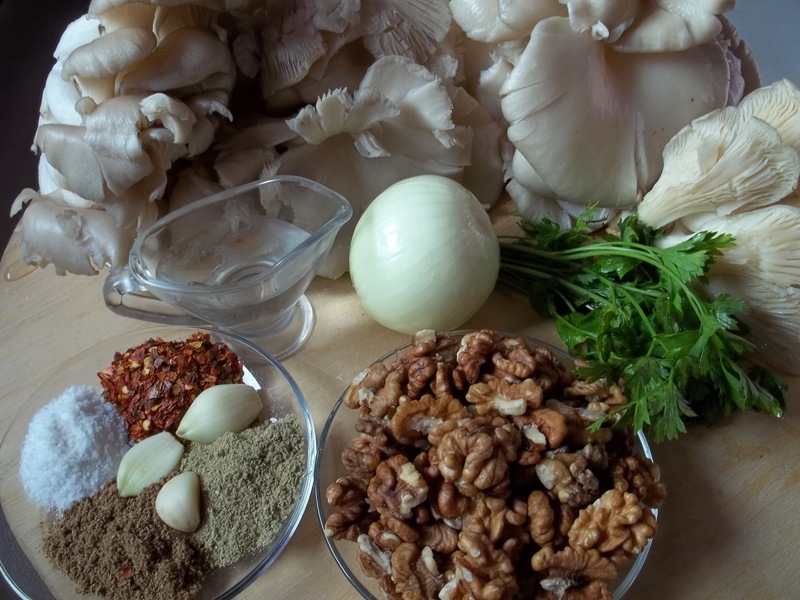 In this recipe we show how to prepare wild oyster mushrooms with walnuts and spices. 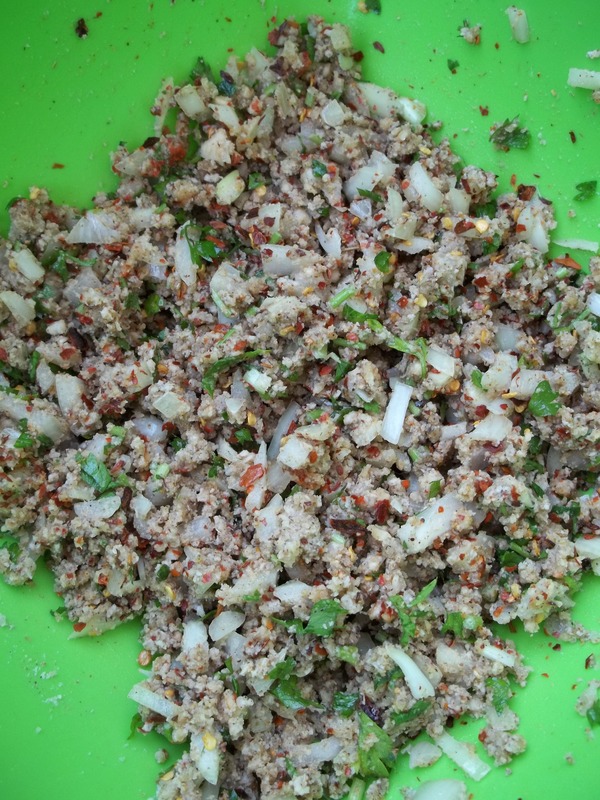 Ingredients: 1 kilo of wild oyster mushrooms, 200 grams of walnuts (or hazelnuts), 10 grams of fresh parsley, 1 medium sized onion, 1 tsp of dries coriander, 1 tsp of blue fenugreek, 1 tbs of dried coarse hot red pepper, 3 cloves of garlic, 5 tbs of white wine vinegar, 1 tbs of oil, salt (quantity dependent upon personal preference) and lettuce leaves (for garnish). Preparation: Wash the mushrooms and pull apart with your fingers. 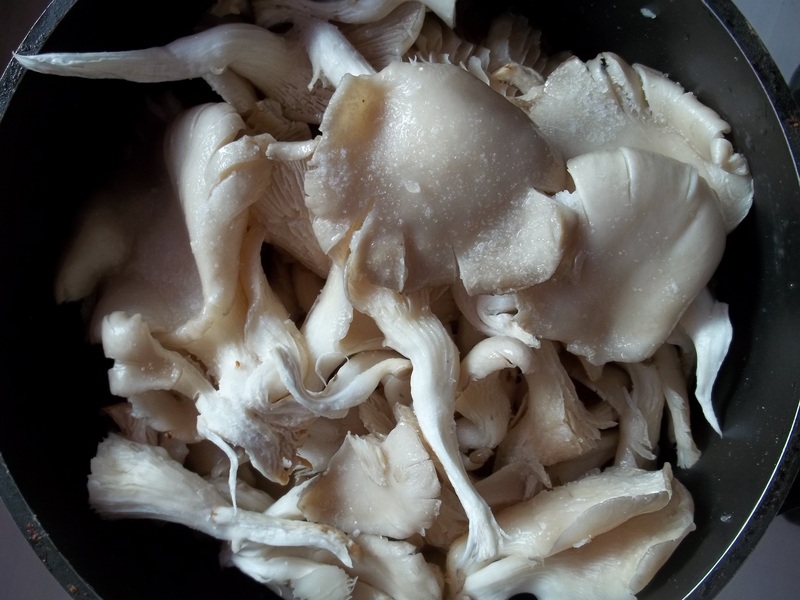 Add the mushrooms to a pot of boiling salted water and cook on a medium heat for 45 minutes. 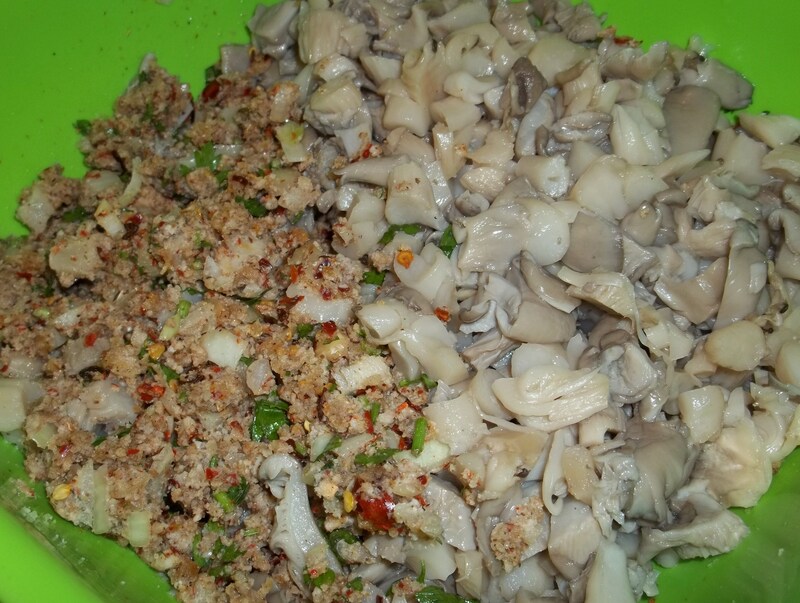 Whilst the mushrooms are cooking, crush the garlic and walnuts together (we used a meat grinder). Chop the parsley and onions. 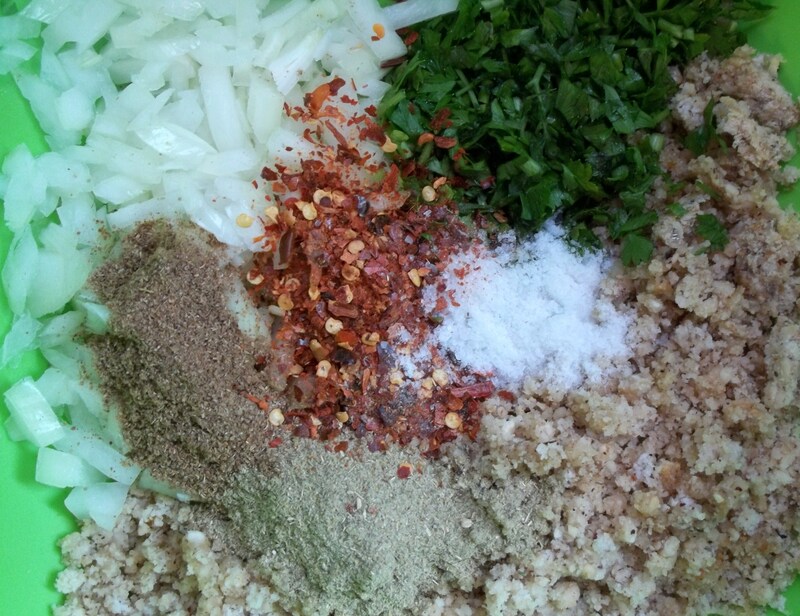 Add the crushed garlic and walnuts, chopped parsley, onions and spices to a mixing bowl. Add the white wine vinegar and 1 tbs of oil and gently mix. 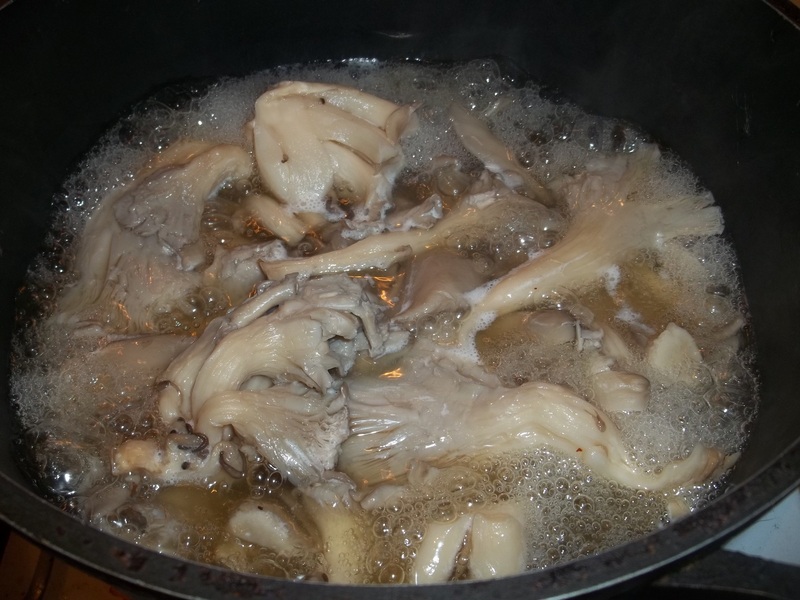 When the mushrooms are cooked, drain the water with a sieve. 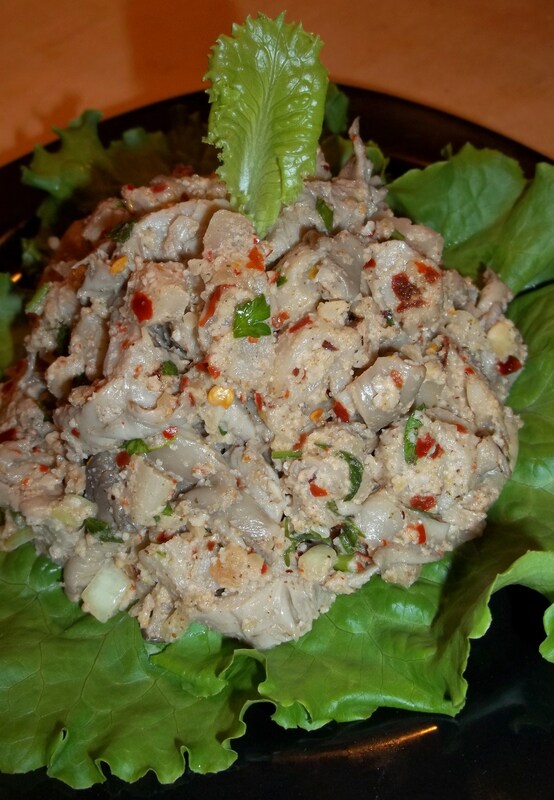 Chop the cooked mushrooms into small, thin pieces and add to the mixing bowl containing the other ingredients. Mix carefully. Serving: Serve cold. We served ours on a bed of lettuce. Enjoy your Wild Oyster mushrooms with nuts and spices!